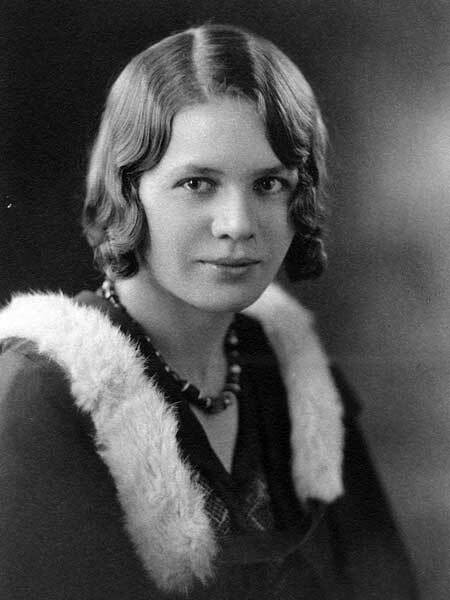 Born at Winnipeg on 26 April 1910, daughter of Stephen Joseph Stewart Moore (1872-1936) and Margaret Agnes “Maggie” Capstick (1875-1958), sister of Alan S. Moore, she graduated with an Arts degree from the University of Manitoba in 1931 and worked in the book department of the T. Eaton Company for many years. In 1938, she married J. Morley Headlam (1904-1991), son of Archibald M. Headlam. They had no children. She became involved with Girl Guides in 1922, culminating in the position of Commissioner for the Province of Manitoba. She was also involved with United Way, Welfare Planning Council, and Women’s Committee of the Winnipeg Symphony Orchestra. In 1967, she was given a Manitoba Golden Boy Award in recognition of her community service. She was also a member of the Women’s Canadian Club, University Women’s Club, and James Bay New Horizons Society. On her husband’s retirement in 1970, they moved to Victoria, British Columbia where she died on 1 December 1992. “Winnipeg man killed when car overturns,” Winnipeg Tribune, 12 May 1936, page 1. Obituary [Margaret Agnes Moore], Winnipeg Free Press, 2 April 1958, page 2. Obituary, Winnipeg Free Press, 5 December 1992, page 64. We thank Richard K. Moore for providing additional information used here.